What’s Unique about physics and astronomy at UNCG? With careful preparation and course planning, students with a desire to fast-track their graduate education can earn a B.S. in physics in three years and move directly into a Ph.D. in nanoscience. 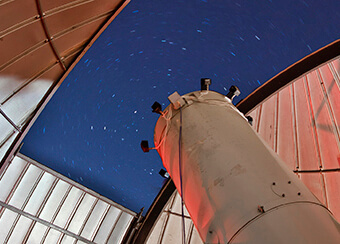 The Three College Observatory, which is administered by UNCG, boasts the largest optical telescope in North Carolina and one of the largest in the Southeast United States. Small discussion-oriented classes and a dedicated teaching faculty make UNCG a great place to study physics. 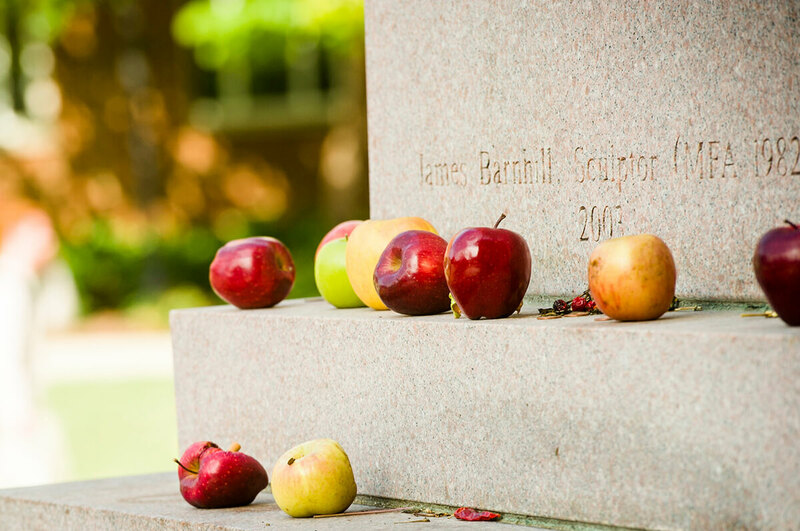 Departmental research focuses on biophysics, astrophysics, nonlinear systems, and science education. The pre-engineering program prepares students for engineering studies at N.C. State University, UNC- Charlotte, North Carolina A&T State University, and other engineering schools. While UNCG does not have an engineering school, we provide an excellent two-year preparation in basic physics and mathematics that will allow a student to transfer to one of North Carolina’s outstanding engineering schools to complete an engineering degree. A pre-engineering student would come to UNCG to learn the basic math and physics required of all engineers but in our smaller classes. After two years the pre-engineering student would transfer to a university that offers an engineering degree if the student has demonstrated mastery of the basic math, physics, and computational skills. Astrophysics: Studies include variable stars found in the cores of globular clusters in our galaxy. These Population II stars are among the oldest known stars in the Milky Way. We also study the way stars form dust, which is a crucial component of the interstellar medium. Biophysics: Membrane biophysics of the sodium/potassium pump; behaviors of nonlinear systems, including chaos. Science Education Research: Our science education group is a team of physicists studying knowledge, cognition, learning, and teaching about physics, math, engineering, and other sciences. They investigate fundamental questions about learning and expertise, develop pedagogic techniques and curricula, and promote effective instruction within our university and around the world. Classes are small at both the introductory and advanced levels, and students can work with faculty on a one-to-one basis. 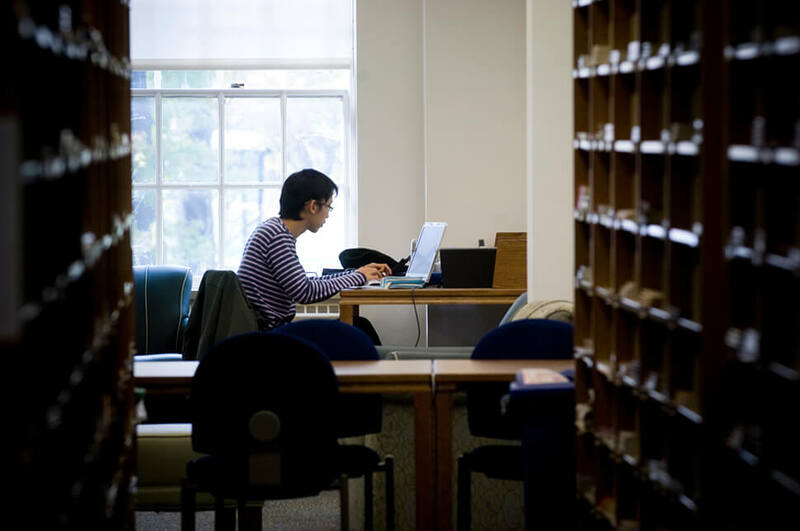 Two study rooms are reserved for student use, and collaborative work is encouraged. Successful students may work with faculty on research projects in their junior or senior year. Recent projects have included theoretical models of human heartbeats, studies of variable stars in globular clusters, studies of nonlinear dynamics, and study of the sodium pump in kidney cells. Applications software engineer, McDonnell Douglas Corp., Marietta, Ga. Branch chief, NASA, Huntsville, Ala.
CEO, Landmark Communication Interests, Summerfield, N.C.
VP, Oscom Communications, Manchester, Mo. Telecommunications engineer, Allied Signal, Wrightsville, Pa. 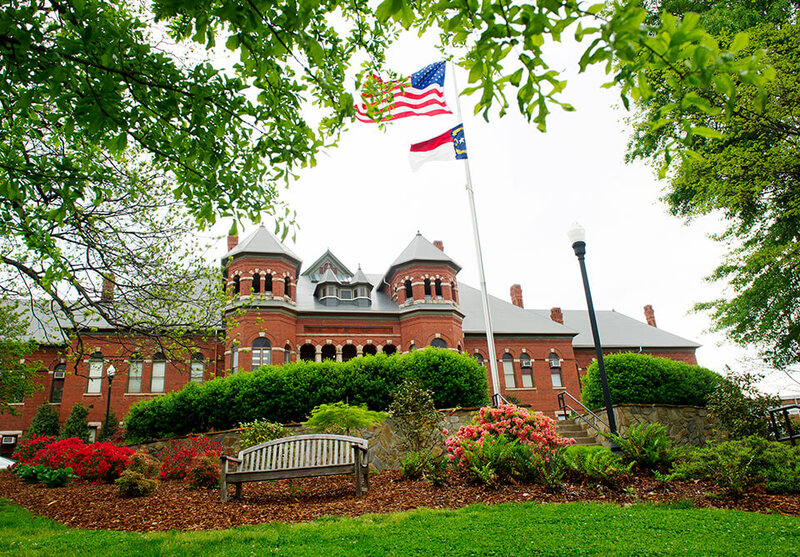 Typical graduate schools include Cornell University, Johns Hopkins University, University of California–Santa Barbara, New York University, Duke University, UNC-Chapel Hill, N.C. State University, and the Joint School of Nanoscience and Nanoengineering at UNCG.